What is it like to hear the still, small voice of God? What does that even mean? If you have read the about page on this website then you already know that how I met God involves hearing His voice. It was this still, small voice that I heard. But I’m not going to just repeat my own testimony here and expect you to take it as gold. In fact, I would beg you not to do so. 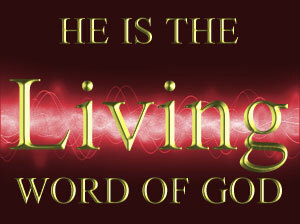 It is God’s word that is gold and if there is any truth then it must line up with that word. 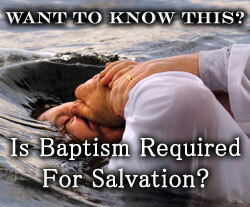 So rather than simply tell you what I experienced I will let the scriptures themselves do so. 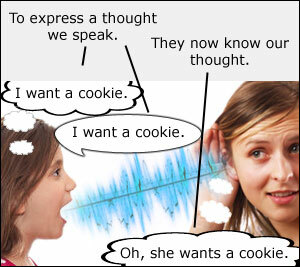 When we think of words and voices we normally think in terms of sound. The pitch going up or down forms the words that we hear in our ears and understand as communication. We interpret the sound waves based on what we know the pitches to mean. Thus, we hear words (which are simply sound waves that are in a certain pattern to communicate a thought). In fact, as I began to learn another language (I speak a little bit of Spanish) I discovered that language is simply a way to communicate. That may sound obvious, but communication is much deeper than words. When a soldier blows a trumpet a certain way the troops all know what he is “saying.” We use sound to let others know what we want to communicate with them. 9 So likewise ye, except ye utter by the tongue words easy to be understood, how shall it be known what is spoken? for ye shall speak into the air. 10 There are, it may be, so many kinds of voices in the world, and none of them is without signification. That is what the word “voice” means. It is any way that we communicate something. Our voice can be a sound in the form of our language, accents, and tone. It can also be the sound of a trumpet, or it could be a letter we have written. Our voice is any method we use to communicate. Even here we see that God used signs as His voice. So hearing God speak doesn’t have to come in the form of a sound. But it does have to be a direct form of communication. When we think of a feeling what we normally think of is our own emotions, intuition, or even self talk. Our emotions love, hate, sadness, and so on influence our choices. Our intuition is based on knowing what is going to happen before it does, because of our past experience. Self talk is that voice in our heads that we hear and think to ourselves with. If you have ever noticed, normally self talk sounds like your own voice, with your own language (English, Spanish, and so on). Consider this, as you read this page, what voice are you hearing in your head? I can tell you that it isn’t mine. It’s your own voice that you hear in your mind reading these words. Though I may try to do an impression of a fictional character, but it is still just me. I end up speaking in a cartoon voice to myself that sounds like my voice doing a bad cartoon characters voice. But that’s beside the point. So what is the difference between hearing a voice and having feelings, imagination, self-talk, or intuition? I wanted to cover these things so that we can learn the difference between the voice of God and the other things that many believe is the voice of God, when it really isn’t. 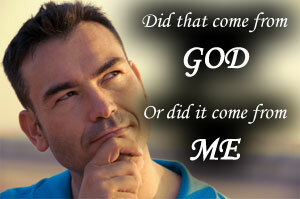 You may remember from unit 4:2b that there are many times we may think we are doing what God is telling us. But, it may actually be our own deceitful hearts (our own emotions, intuition, and self-talk). You can’t always trust and follow your heart. It can lie. The simplest way to tell you how to know the difference between hearing from God and hearing from yourself is, … well, it is by knowing where it came from. I know that sounds a little bit like a paradox. But, it isn’t. For example, after you finish reading this sentence ask yourself this: Did you write the words you just read? It’s really that simple. Other than reading it (listening) did you have any part to play in what you heard? Did you have any part to play in the words I chose to write? Each one of those things have something in common. They involve YOU. That means it IS YOU speaking and NOT GOD. There is NO scripture in the Bible that speaks of a prophet feeling a prompting, sensing an event would happen, or figuring something out by thinking about it. If there is any place it speaks of a prompting it NEVER says it came from God, only that the person themselves made a choice. They expected something based on past experience, or studied and considered the answer to a question. Don’t get me wrong, a person can follow what the scriptures say and claim God told them to do such and such. But, they can only say that they are following the already revealed word of God, not a personal direction given just to them. OK, so we just talked about what is NOT the still, small voice of God. But, what IS the still, small voice of God? Obviously, it isn’t a feeling or something quite so vague. If it was then which one of the old prophets could be certain the words they gave were not simply from their own imagination? No, they had something a lot more concrete. The first mention of people hearing God’s voice is here. Notice that the voice came from God, who was in the garden. God spoke to Moses from the bush here. God spoke from the fire and was not seen. This all has one thing in common. None of these people heard a voice that came from their own head. It originated from God Himself, wherever it may have been that God would send His voice from. Even looking into the New Testament we find God speaking to Paul like this, and to many others. The point is that the voice of God comes from Him alone and is in no way related to our own minds. Our only part to play is to actually listen to Him when He speaks, and He alone opens our ears to hear Him. We do not. Maybe you have read the gospel of John where he says “In the beginning was the word, and the word was with God, and the word was God.” What an amazing thought! God Himself is LITERALLY His words! There are so many places in the scriptures that say “The word of the Lord came to him.” It doesn’t say a figure, a physical body, a thought, or a feeling came. It says the very word of God came. Now, remember earlier how we said that we understand words as the sound of a voice that communicates something? Without a single sound, in dead silence, a voice was still heard that did not come from the one hearing it. How can a person hear a voice when there is silence? Unless, … the voice itself is something other than sound. Let’s put 2 and 2 together here. If God is His word, and words are simply the communication of thought, then the still small voice of God doesn’t have to be sound! You may actually hear nothing with your ears, but you will understand what God is communicating in the form of words. That’s right, you can hear no sound, yet still understand what God is saying. 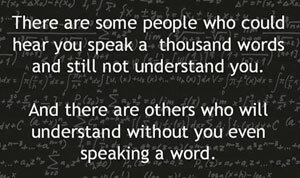 Not only will you understand, you will understand it in the form of words without sound! Yes, I know that may be confusing to some of us. The truth is that if you have never experienced it then it may be very hard to grasp. I describe it as “a power that I can understand in the form of words.” Some may call this a form of “telepathy.” It’s like having someone speak to you by placing their words in your head. It isn’t your voice doing self talk, and you know it. It isn’t even words! But, you know what is being communicated. It is the very Spirit of God that speaks, not to our mind, but to our spirit. Thus, we hear Him without sound, without thought, without an audible voice, we hear Him with our very Spirit, which understands Him and His word. So in a very real way, the voice of God is a power that you can understand in the form of words. It is God Himself who communicates just by being with you. This is what Elijah called the still, small voice. 11 And he said, Go forth, and stand upon the mount before the Lord. And, behold, the Lord passed by, and a great and strong wind rent the mountains, and brake in pieces the rocks before the Lord; but the Lord was not in the wind: and after the wind an earthquake; but the Lord was not in the earthquake: 12 And after the earthquake a fire; but the Lord was not in the fire: and after the fire a still small voice. 13 And it was so, when Elijah heard it, that he wrapped his face in his mantle, and went out, and stood in the entering in of the cave. And, behold, there came a voice unto him, and said, What doest thou here, Elijah? A small voice. What kind of voice? Of all the things God could have spoke through, He chose to speak without sound, without fire, without thunder and the Lord was simply IN the still, small voice. In other words, the Lord Himself was that voice, and the voice itself was the Lord, speaking peacefully to the very soul of Elijah.